Hey Loves! Wanted to stop by and share some updates with you. I’m SUPER DUPER BUSY, which means I’m super duper blessed! Take a look at some events that I’ll be attending and/or featured at below. Where have YOU been if you didn’t know about this one? LOL, I’m so excited about the I Define Me Tour Women’s Empowerment Event on Sunday in London! I leave for the UK tomorrow and haven’t packed. HA! Let’s not go there….everything is packed in my head….Just needs to be put in the bag. LOL! Next weekend is also very eventful and exciting! Yes, girl YASSSS! So many great events! Flyer’s are linked for you to purchase TICKETS and RSVP! Are you coming?! 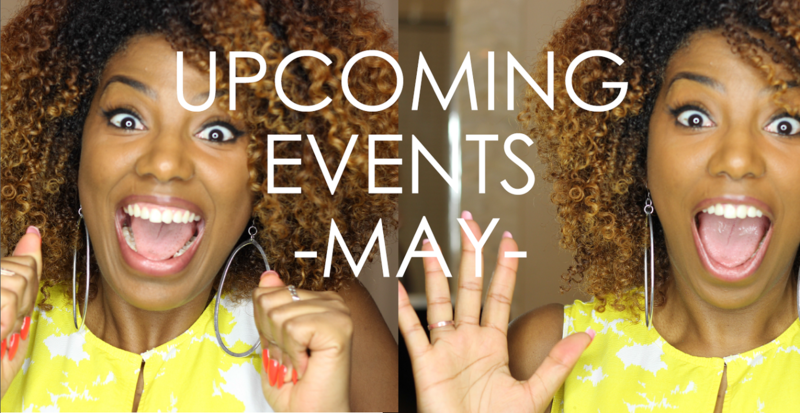 Let me know in the comment section if you’ll be at any of these events! Can’t wait to meet you!